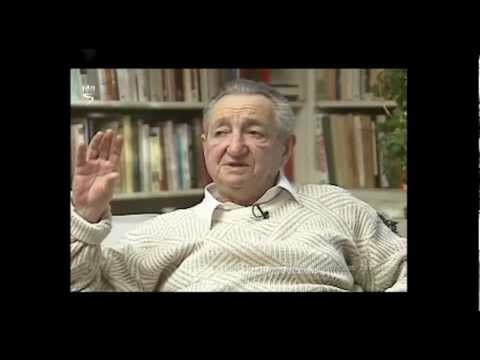 After the mass deportations to Treblinka in the summer of 1942, the Jews of the Warsaw Ghetto, led by Mordechai Anielewitz, barricaded themselves in bunkers and resisted the German Aktion of April 1943. After a month of valiant fighting, the Uprising was quashed and the ghetto burned to the ground. The archive included hundreds of documents, testimonies, and wills that documented life in the Warsaw ghetto. The code name for the archive was "Oneg Shabbat". 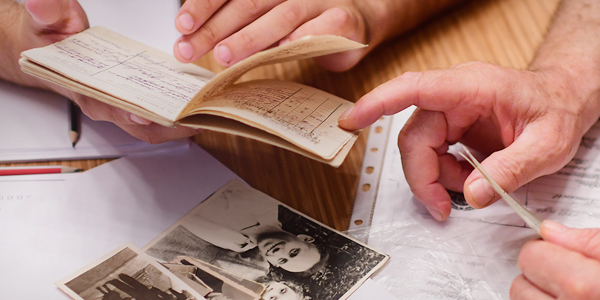 In August 1942, at the height of the deportations from Warsaw, and in February 1943, two sections of the archive were hidden in ten metal boxes and two milk jugs, and buried, and the third section was buried in April 1943. The first two sections were found in 1946 and 1950, but the third part of the archive has not been found to this day. One of twin rings used as a special means of identification in secret encounters between the commanders of the Jewish Military Union in the Warsaw Ghetto and commanders of the Polish underground. On July 22, 1942, on the eve of the Ninth of Av in the Jewish calendar, the Germans began the mass deportations from the Warsaw ghetto. By the time they ended on September 21, Yom Kippur, some 260,000 inhabitants of the ghetto had been deported to the Treblinka extermination camp. The deportations were carried out at the Umschlagplatz – a train station and adjacent square situated on the edge of the ghetto. Those deported were packed into sealed, locked freight cars with little water and poor ventilation. When the deportations began the Nazis promised that people who voluntarily reported for “transfer” would receive three kilograms of bread and one kilogram of jam. After a few days the volunteers stopped coming, and the Nazis switched to siege tactics: city blocks would be closed off and the Jewish Police would remove the buildings’ residents to the streets. The Germans would carry out a selection while Polish or Ukrainian policemen would search in the abandoned homes for Jews in hiding. Many Jews who hid in the buildings or tried to escape the selection on the street were murdered on the spot. Most of the Jews who underwent the selection were chosen for deportation and sent to the Umschlagplatz. After the deportations to Treblinka between 55,000 to 60,000 Jews remained in the Warsaw ghetto and they were concentrated in a few building blocs. The area of the ghetto was thus severely reduced. A sense of bitter disillusionment and abandonment settled upon those who remained in the ghetto, the majority of whom were teenagers. Many blamed themselves for not resisting and for allowing their families to be deported. It was clear to them that they would share the same fate. Thus, they resumed the attempts at establishing a fighting underground organization. The first attempts to establish an armed resistance organization within the ghetto took place even before the deportations. The “anti-Fascist bloc” was established between March-April 1942, based on a communist cell in the ghetto. However, the Gestapo discovered its leader in May 1942, who was arrested and murdered. Representatives of three Zionist youth movements (“Hashomer Hatzair,” “Dror,” and “Akiva”) established the first cell of the new organization. Members of the “Poalei Tzion” party joined them in October. Thus the “Jewish Fighting Organization” (ZOB) was established. Within a short period of time other youth movements joined the organization as well as non-Zionist parties – the “Bund” and the Communists. The commander of the Jewish Fighting Organization was Mordechai Anielewicz of “Hashomer Hatzair”, who was 23 years old. The Revisionist Zionist youth movement “Beitar” established its own fighting organization, the “Jewish Military Union” (ZZW). On January 18, 1943, the Germans launched another Aktion. The underground leadership, believing it to be the onset of the final deportation, ordered its forces to respond with arms. Upon discovering the resistance the Germans decided to halt the Aktion. This incident marked a turning point for most of the ghetto population, which from then on prepared for mass resistance and for hiding in underground bunkers in the cellars of homes. The final Aktion began on April 19, 1943, the eve of Passover. The fighting groups and ghetto inhabitants barricaded themselves in bunkers and hideouts, their demonstrations of resistance taking the Germans by surprise. The ZOB scattered its positions throughout the ghetto; the ZZW did most of its fighting at Muranowska Square, impeding the Germans’ attempts to penetrate their defenses. In response, the Germans began to systematically burn down the buildings, turning the ghetto into a firetrap. The Jews fought valiantly for a month until the Germans took over the focal points of resistance. It was the first popular uprising in a city in Nazi-occupied Europe. 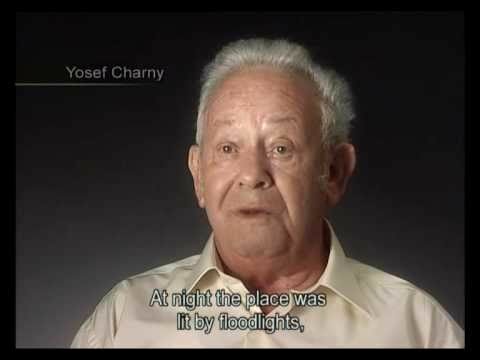 The Warsaw Ghetto Uprising became an example for Jews in other ghettos and camps. The uprisings that followed, however, were smaller in scope because of their isolation, a shortage of arms and hostile surroundings.